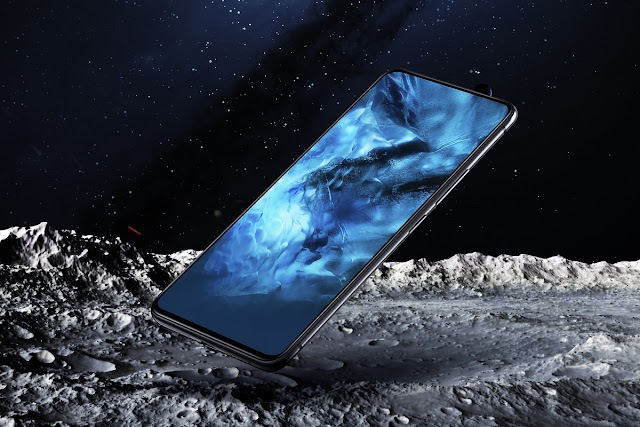 Vivo NEX Is Official With A 91% Screen To Body Ratio, No Notch, Pop-up Camera & Top Tier Specs - AndroGuider | One Stop For The Techy You! At MWC, Vivo marvelled us with a prototype phone (named Apex) whose front was almost a screen. The most likeable aspect of Apex was that it didn't have a display cutout (aka notch) to break the symmetry and harmony of glass. Where were the important sensors? You might ask. 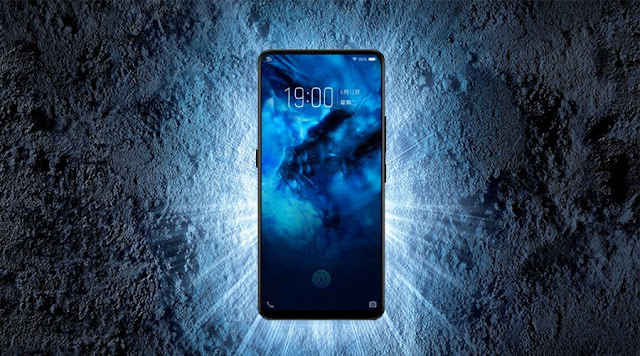 The earpiece was simulated by vibrating the entire display to produce sound (a similar implementation as the piezoelectric motor in the Xiaomi Mi MIX), and the front camera popped up from the top edge when required. 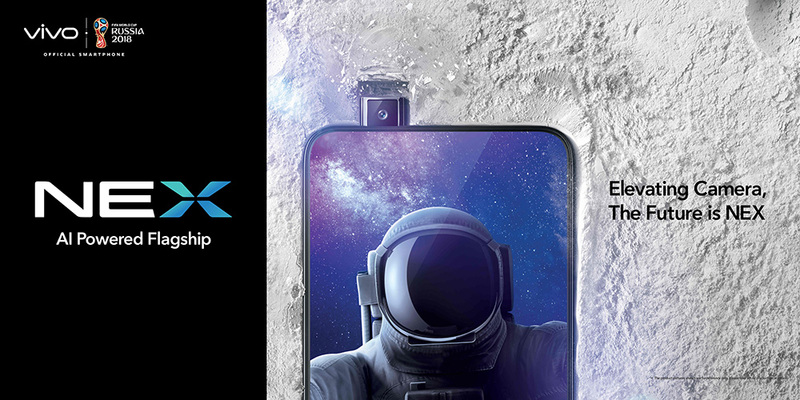 Today, Vivo made the Apex official as the Vivo NEX. 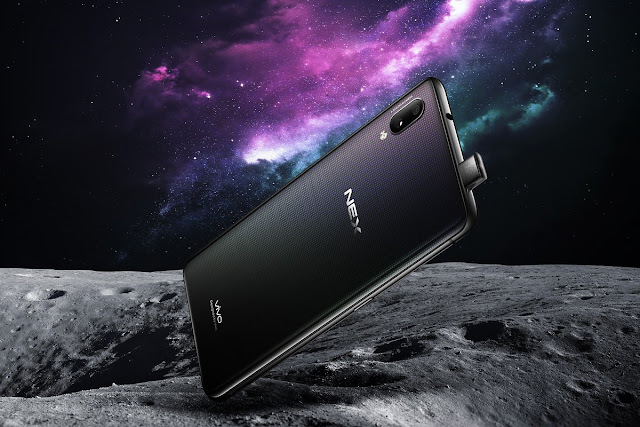 In addition to the notch-less display and retractable front camera, another standout feature of the Apex was its in-display fingerprint scanner. The fingerprint sensor worked across a major chunk of the screen in Apex; however, in the NEX, the fingerprint sensor in underneath the display but its implementation is like the Vivo X21. The fingerprint sensor can only be accessed by placing the finger on a specific region on the screen. When the phone has to be unlocked, the screen lights up to show where the finger has to be placed. Being a flagship smartphone, NEX has all the top-end specs you would expect. There is a Snapdragon 845 running the show with 8GB of RAM and 4000mAh battery. Vivo has also announced a slightly cheaper variant of the NEX which comes with the Snapdragon 710, 6GB RAM and 128GB storage. Barring the processor, internal storage and RAM capacity, there isn't any difference between the two models. The higher variant is named NEX S, and the other variant is called NEX A. Both the NEX smartphones have a 12MP+5MP camera setup at the back. The primary shooter has an aperture of f/1.8, and it also features 4-axis OIS and EIS. The secondary snapper is a 5MP sensor with an aperture of f/2.4. The pop-up selfie camera is 8MP with f/2.0. Vivo says that its AI technologies (for scene detection, HDR, filters and photo composition) bolster the quality of the images captured. Although the NEX phones have state-of-the-art technology, the phones make use of Micro USB. There is a headphone jack and a dedicated button for Vivo's virtual assistant Jovi. For now, Vivo will be selling the NEX only in China. The NEX A will cost $610, and the NEX S will be sold for $780.